Home / Work From Home / How To Make Money From A Website – 6 Easy Ideas You Can Start Today! How to make money from a website is a question I often get asked. And, honestly, there are any number of ways you can start a website and monetize it. The right monetization strategy for you will depend on the type of site you want and your end goals. For example, if you want to make passive income, you’ll want to focus on ways to earn money from your website on autopilot. If you aspire to be a life coach or consultant, a freelance service site is a better fit for you. For me, I’ve used affiliate marketing, ads, digital downloads, services, and paid listings to make money from my website over the years. And, if I can do it, so can you. 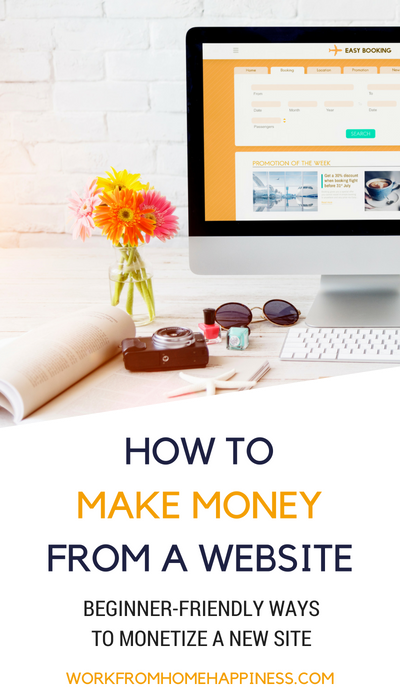 Here are some of the ways I’ve made money from a website (and how you can too). Psst: Wondering how to make money from a website? Well, first things first, you need a website! Check out my no-fail beginner’s guide to get a website up and running with Bluehost. This is a no-brainer. When you first ask, “how to make money from a website,” one of the most obvious answers is to sell ad space! After all, just about every website these days have advertisements on them (some more than others). And, even though ad blockers are becoming more and more popular, there is still money to be made by serving ads on your website. The amount you charge also depends on how much traffic your website receives. The more page views you get every month, the more money you can command for ad space. To start soliciting ad sales on your own, be sure to put together a media kit! Your media kit will tell prospective advertisers important stats about your site. Things like demographics, page views, bounce rate, and advertising rates can all be displayed in your media kit. You can DIY a media kit using Canva. They have some amazing templates that look super professional and will impress the pants off even the most discerning advertisers. Did I mention they’re free? If you prefer the hands-off approach to displaying ads, no problem! There are plenty of ad networks out there that will help you display third-party ads on your website. This is one method I currently use to monetize my website. And, while ads may not earn me as much as if I went the private route, I still don’t mind. After all, any income I make from ads served up by an ad network is passive. That is, I don’t have to do anything for it! The money just shows up every month in my bank account. You can use both networks at the same time if you prefer. But, when I tried this, found that there were too many ads on a page at one time, which actually negatively impacted my ad revenue every month. Remember, the key to successfully figuring out how to make money from a website with ads is to keep ads unobtrusive and as few as possible. Try to match the look of ads to your website. Ads should complement your content, not obstruct or take away from it! Did you know freelancers make up about a third of the workforce? If 34% of working people can do it, so can you. I promise. And, as it turns out, when you’re learning how to make money from a website, selling services is an easy way to do just that. Let’s say you can write well. Great. You can create a freelance service site that displays your killer wordsmith ways. Your website will serve as your virtual business card. It’s where potential paying clients can see samples of your work, learn more about you, find out your rates, and get in contact with you. Considering it only takes a few bucks a month to set up a website with Bluehost and the average freelancer commands $21/hour, it’s a no-brainer to make money from a website with freelance services! Pro Tip: Blog regularly on your freelance site! This will keep your content fresh and helps you rank better in search engines. So, if someone googles freelance writer near me, you have a better chance of showing up. Blogging regularly on your freelance service site also gies you a chance to share your expertise on social media. And, there’s a good chance you can get a number of clients through LinkedIn, Pinterest, Facebook, and Twitter. There is big money to be made in the world of affiliate marketing. And for many newbies looking how to make a money from a website, affiliate marketing is an easy way to start. Keep in mind, you won’t make $100,000 a month as an affiliate marketer when just starting out. But it is realistic to earn a couple hundred bucks. As, your website grows, so too will your affiliate sales! If you’re not familiar with affiliate marketing, the premise is simple. You recommend products or services on your website. You link to the product or service using your own unique affiliate link. When a website visitor clicks on this link and goes to the site and makes a purchase, you receive a commission for the referral! The key to affiliate marketing is not to overdo it. That is, don’t spam your website with affiliate links. And, always keep things relevant. If your website discusses all things cars, be sure to stick to the automotive theme. Don’t confuse website visitors by recommending boat parts and accessories! Pro Tip: Definitely promote affiliate products on your website! But also use social media to your advantage. You can selectively recommend affiliate products on Facebook, Twitter, and Pinterest! Another way to monetize your website is to charge a monthly membership fee. News sites, like Washington Post and the New York Times, all put up a paywall to access the full version of their site. So, for example, you might be able to read a handful of news stories but if you want to freely browse everything, you need to pay the monthly or annual membership fee. That’s exactly how you could make money from a website too. To be successful with a membership site, be sure your content is top notch. Your audience will only want to pay if it’s worth it. So, maybe you share your insider’s knowledge on a subject you’re well versed in or release exclusive video content weekly. When I first started thinking about how to make money from a website, I instantly knew I wanted to sell digital products. Because they’re easy to make AND they can be sold 24/7/365 — even when you’re nowhere near your computer. In fact, it’s super simple to sell digital downloads on autopilot when you use a website service like Shopify. Even better, there’s no end to the type of digital downloads you can sell on your website. You’re really only limited to what you want to make (and sell) on your website. I use Canva to create all of my digital products. 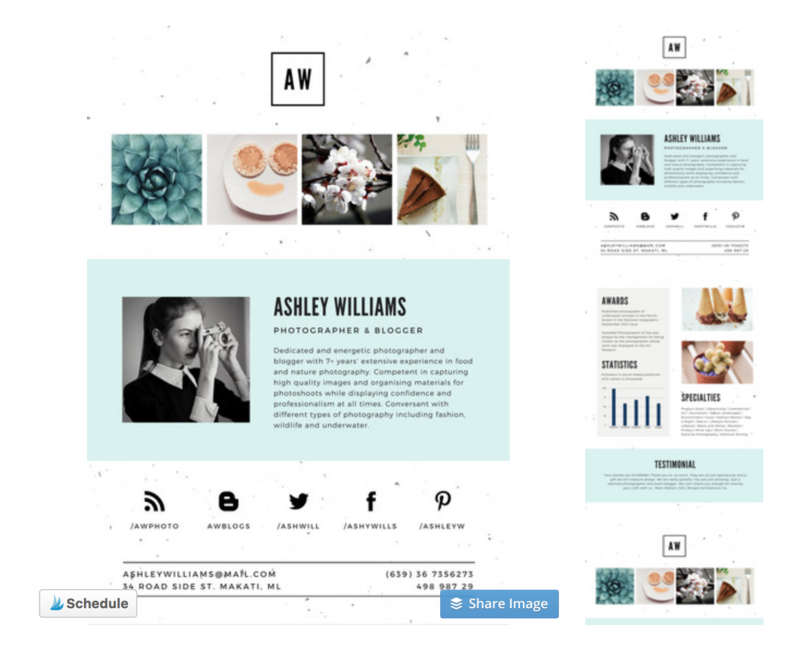 Canva templates will make all your product perfectly polished and professional, i.e., people will want to pay for them! And, Canva offers both free and super affordable stock photos. Once you’ve created a product, save it as a pdf and, voila, you’ve got a product ready to be sold! If you want to sell your digital products on a site you already have up and running try Send Owl. With Send Owl, you can easily sell your digital products to website visitors for a hands-off way to make money from a website (they send your products for you and handle all payments!). How’s that for easy peasy? When thinking of how to make money from a website, you’ll want to consider charging for listings! Well, for example, you could create a job board. Then, make money from your website by charging employers to list job openings on your site. Another option would be something like a classified site. You could make money by charging visitors who want to post an item for sale — a car, mobile home, used clothes, etc. As with almost any website, try to come up with a single niche — and stick with it! It’s much easier to monetize a listing site with a specific niche than trying to charge for every type of listing out there. There you have it: 6 super simple ways you can make money from a website! I’ve tried all of these at some point in time and have found some to be more successful than others. As with anything, especially when learning how to make money from a website, the more you put into it, the more you’ll get out of it. So, don’t give up! Just because you build a website, doesn’t mean it will automatically make money for you. It takes a lot of hard work (and patience) to make money from a website. But, it’s totally possible. If I can do it, I promise, so can you! Psst: This post contains affiliate links. Check out my disclosure statement for more information. The post How To Make Money From A Website – 6 Easy Ideas You Can Start Today! appeared first on Work From Home Happiness.